That same book image won Best of Show at the CA Mid-State Fair in 2013. Stephanie's Fast Appy" won 5th place in Art Horse Magazine's Digital Art competition. Stephanie's "Dreamcatcher" Won 1st at the Caifornia Midstate Fair for Professional Digitally Edited. Stephanie's photos are featured on this wonderful slide show at Pomar Junction Winery. Animal Talk magazine has selected Stephanie Laird's picture for the fall cover for their magazine. 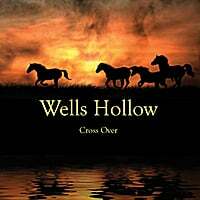 Stephanie Laird provided the artwork for this new album release "Cross Over" by Wells Hollow. Stephanie Laird's image "Spirit" wins 1st in the annual Equine Photographers Network international competition for Professional Artistic. *Please note: No horses were harmed during this Photoshop Elements experiment. Please try this at home! Thank you for visiting my site! I've had so many people ask me how I create my artwork, which I call Fantasy Fusion Photography, that I decided to write up tutorials and make them available to anyone who would like to create art from their photos. 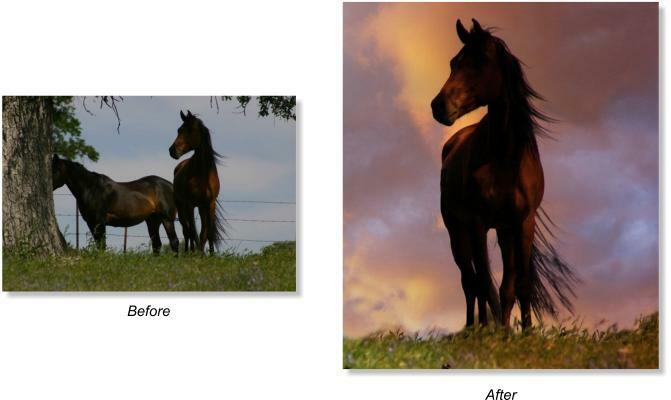 With my ebooks, you can learn how to use Adobe Photoshop Elements to turn your photos into fine art. I will outline some really simple, but effective, techniques. It won't be long before you're creating stunning works of art out of your own photography. I work exclusively in Adobe Photoshop Elements, however the concepts can be applied with Adobe Photoshop. Elements is a relatively inexpensive, but extremely powerful, photo editing software. eBook 1 gives simple and basic instruction on layer and cut outs, replacing backgrounds, creating a winter scene, making a softer dreamier image, creating your own silhouettes and more! Find out more. eBook 2 assumes you have mastered the techniques in Book 1. It builds on these techniques by showing you how to create custom composites, put together stunning backgrounds for silhouettes, create custom portraits, use white on white effect and more! Find out more. eBook 3 will show some new ideas for expanding your creative work. It goes into playing with textures, adding wings, creating a shiny table effect, using black drama and more! Find out more. And more! For example, these ebook tutorials will show you how to take a basic picture like the photo below on the left and turn it into artwork like the picture below on the right. Stephanie's ebooks are now available on Amazon!